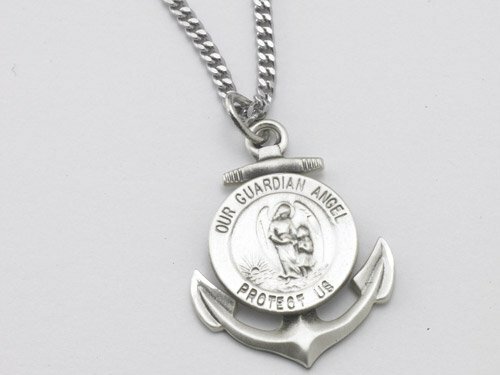 The Guardian Angel Anchor is there to remind you that you are strong, stable and independent. It is a reminder that even through difficult times have faith that your Guardian Angel is always by your side and there to lead you through it. The anchor is a symbol to never lose faith and to embrace life. This Sterling Silver Pendant comes displayed in a beautiful gift box along with a rhodium plated chain. Also, with your pendant you will receive an official everlasting love collection letter signed by psychic medium Matt Fraser.